The industry saw a strong return to focus on direct-to-website online business from the big hotel chains in 2016, with campaigns from Marriott, Hilton, Hyatt and IHG attempting to push the customer from online travel agents (OTAs) to the direct hotel website route (see Skift). The chains are fighting back against OTA dominance to woo the customer directly, and are clearly prepared to pay to do it. Their action alone should be an example to independent hotels that there is a serious issue to be tackled here, and that they too must engage. But the chains have very significant resources to take on the OTAs and counter their advertising. What can an independent hotel do against the OTA onslaught? They key is for hotels to work together and leverage the scale of the industry itself. Before we address actions, let’s step back and look at context. The competitive issue for hotels is quite unusual versus other industries. With most industries, you live or die on how you shift product or gain customers versus your competitor. But where hotels suffer real competition is on the route to sale and the relative costs of those routes, not on the ability to sell. Hotels don’t have a product problem, they have route-to-sale problem. OTAs have optimised their route to sale while the lack of collective action by the hotel industry has blocked opportunity on the direct route. Getting the right mix of routes to sale is the key to profit generation in hotels. Shifting more sales to the direct-to-hotel route means saving on OTA commissions. But successfully getting that shift means spending money elsewhere - on advertising, on web presence, on technology. This is where hotels are challenged, balancing what needs to be spent versus the gain. Individual hotels rightly wonder if their digital marketing spend can have any meaningful influence on the rise of OTAs. The perception that OTAs have endless online advertising budgets compared to independent hotels is technically correct, but it’s not the whole story. Priceline, the parent of Booking.com, apparently spends over $3 billion ($3000 million) on online advertising annually. But remember that Booking.com lists over 1 million properties, so this equates to $3000 or so spend per property per year - a figure that individual hotels should easily top. 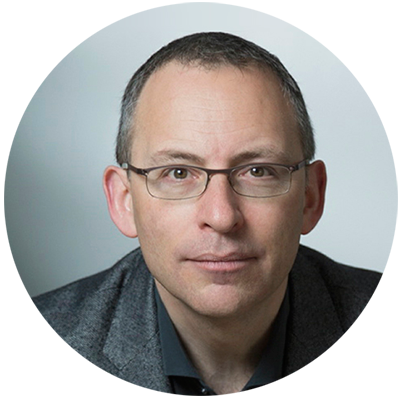 So the total amount being spent by the OTAs is not necessarily the issue, it is how it is being spent - and how optimised, targeted and single-minded it is - compared to the highly fragmented approach of individual hoteliers. Think laser versus blunderbuss. What’s worse, OTAs are now leveraging their brand and customer tie-in position to move their customers onto mobile apps in the next phase of sales route dominance. In the mobile app, no amount of online budget will help hotels - the customer is locked into the route with no advertising distractions allowed. Customers of course like the app route and gain from it precisely because hotels give cheaper prices and special offers to the OTAs to use on those routes - hotels themselves are enabling the creation of a business model that will drive down their own pricing, ensure cost of acquisition rises, and against which they cannot hope to compete. Obviously as OTAs build stronger and stronger usage of the app route rather than the web route, online advertising by hotels would have comparatively less and less effect. This is already happening. I would bet that most hotels have no idea if the OTA guest arriving has come from the web route or the app route - but it would be sensible if hotels asked and started to find out! OTAs do a great job at getting business, but should not be ceded business that hotels can readily service themselves. This is the hotels’ fault - you cannot blame OTAs for taking business that is easy to take. Hotels can only hope to compete if they genuinely work together to change the way the customer thinks. It can be done, but it takes hotels and hotel organisations to get fully behind it and start thinking in terms of their industry rather than in terms of their own individual business. That’s the tricky part - the hotel industry needs to act collectively. Hotel websites need to clearly show customers that booking direct gets them something better. There is no point encouraging a booker on your website with the same price and same features that an OTA guest will have. You will lose that sale. It must be better direct. Better. 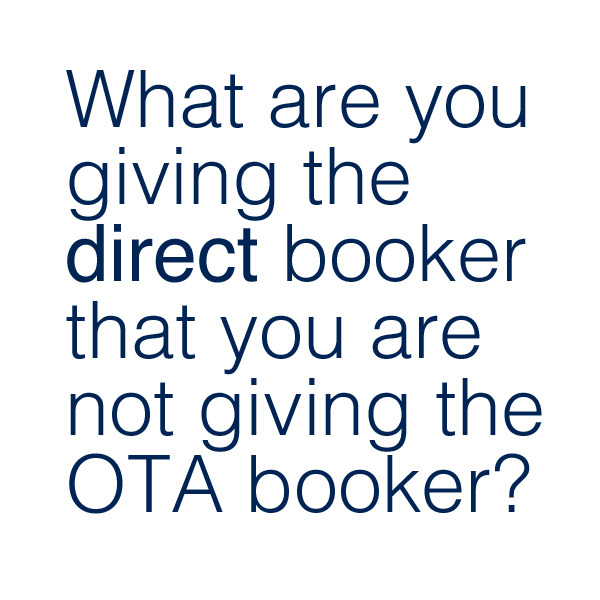 What are you giving the direct booker that you are not giving the OTA booker? Access to spa or treatments at preferential rates, vouchers to use for f&b discounts at the hotel, guaranteed upgrades or superior rooms compared to non-direct customers, late checkout, early checkin, discounts on future stays? Define that direct advantage and champion it on your website and on advertising within your hotel. Hotels must educate the booking public that direct brings real advantages compared to OTAs, but hotels need to make sure there really is a clear advantage first. This is not happening universally and hotel organisations need to be educating hotels and encouraging them. Every single customer that arrives at your front desk from an OTA should be told on check-in that by booking direct they would have gained more advantage - those you’ve already defined in point 1 above. Your staff should be required to do this based on the OTA arrivals list every single day. But more importantly, ensure your staff speak for your industry and remind OTA customers to book direct every time they travel, not just at your hotel but at any hotel. Spread the word for your industry that direct is best. What comes around goes around, and if every hotel encourages direct then every hotel will benefit. Your booking process should be smooth and simple, and should recommend alternative dates and packages when a chosen date or package is not available. That’s a given. But again, thinking in terms of your industry, your system should offer alternative hotels nearby right within the booking process if you cannot service the guest - don’t let the guest leave and go to an OTA when they are already engaged on the direct route. Bookassist’s booking engine allows hotels to offer their own selection of alternative accommodation right within the booking process if there is no availability for your hotel. With reciprocal arrangements, hotels in an area can pass business to each other in this way and recommend direct booking at other hotels. This helps keep the direct booker within the direct community, and it actually works. We see significant engagement with alternative accommodation advertising. Bookassist hotels can offer their own selection of alternative hotels within the booking engine, encouraging customers to stay on the direct route even when your hotel has no availability. Only by genuinely working together as a collective can independent hotels hope to move the dial back towards direct business. The traveling customer must be made aware that booking direct will bring them advantages, and the onus is on hotels to educate their customers for the benefit of all hotels. OTAs will continue to capitalise on a lack of collective action by hotels. It’s time hotels and their associations and organisations moved their thinking towards the bigger picture and began speaking with one strong voice.